Location: Santa Clarita. From the 14 Freeway, take the Newhall Ave. exit and head west (left if you’re coming from L.A.; right if from Palmdale). Follow Newhall Ave. a total of 1.7 miles. Note that you will need to stay in the left lane to stay on Newhall when it intersects with Railroad Avenue. Past the William Hart Museum, follow Newhall through the rotary and then turn left on Market. Go 0.6 miles and turn left on Cross. Go 0.3 miles to Haskell Vista Lane and turn right. The signed trail head is just past the last house, where the street makes a hairpin right turn and becomes a private way. Park where available, noting posted restrictions. 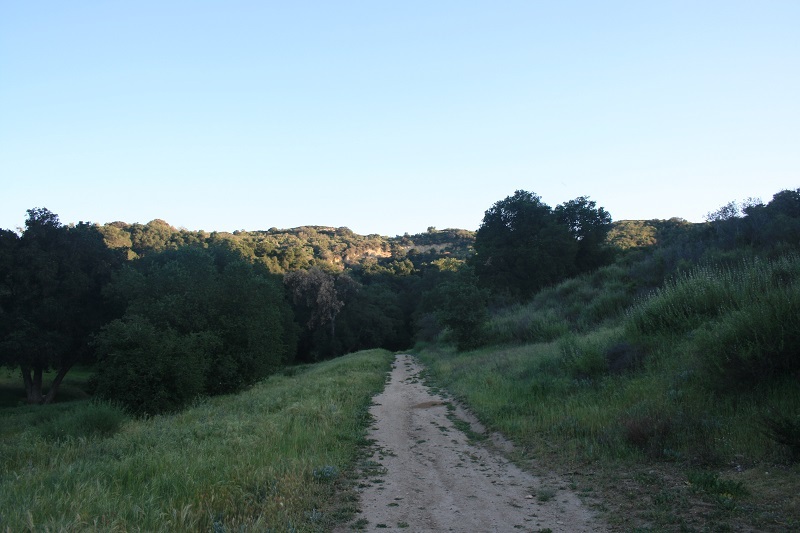 Not to be confused with Wildwood Park in Thousand Oaks, Santa Clarita’s Wildwood Canyon Park (also known as Wildwood Canyon Open Space) is a 95-acre open space nestled between the 5 and 14 Freeways. 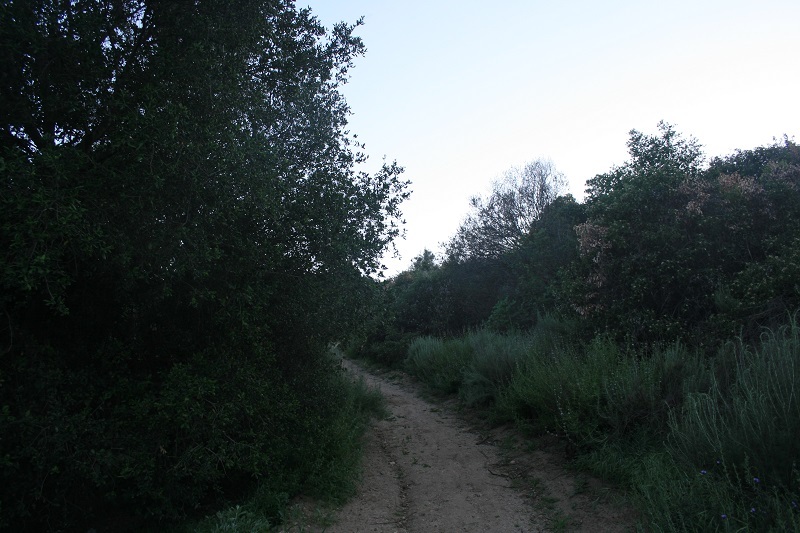 Compared to Santa Clarita’s other nature parks, Wildwood feels more like wilderness, in part due to the variety of plant life (oaks, manzanitas, chaparral and more) and also due to the somewhat confusing network of official and unofficial trails and lack of signage distinguishing the two. The good news is that due to the park’s proximity to civilization and relatively small size it’s hard to get too seriously lost here and it’s a fun place to wander around without any specific agenda. Those who do want to follow an exact route however will enjoy the 3-mile hike described below, which circles the perimeter of the park on some of the more clearly, better maintained trails. 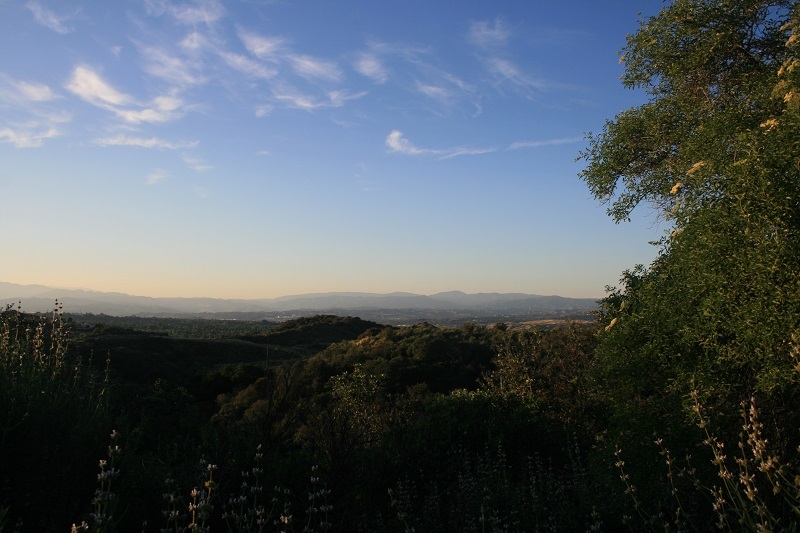 From the trail head on Haskell Vista Lane, follow the path as it climbs uphill, making a series of switchbacks before gaining a ridge at half a mile where a panoramic view of the canyon awaits. It descends briefly to a junction with the Cross Motorway. Stay straight and descend into the canyon, reaching another intersection at 0.8 miles. This is the start of the loop which can be done in either direction. If it’s warm or hot, consider going counter-clockwise as described here, allowing you to save an enjoyable shaded stretch for last. Continue straight and begin a steep ascent to a clearing with a trash can and a makeshift fire pit. 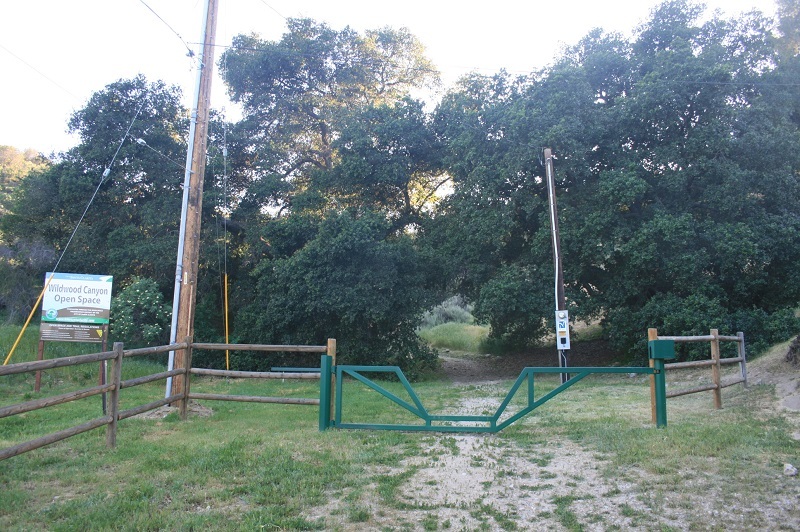 As a detour, you can follow a use trail on the left down into an attractive wooded canyon but watch out for poison oak. The trail continues uphill, now marked as the Highland Trail on the official park map. It skirts the upper rim of the canyon, crossing two small wooden footbridges. 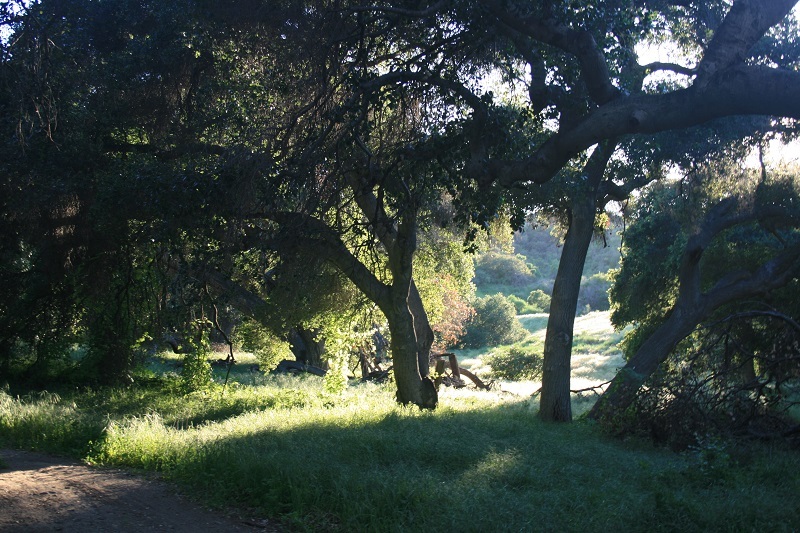 Shortly after the second, you reach the highest spot on the route, signed as a vista point on the map, although there are no benches, shade structures or other facilities here. 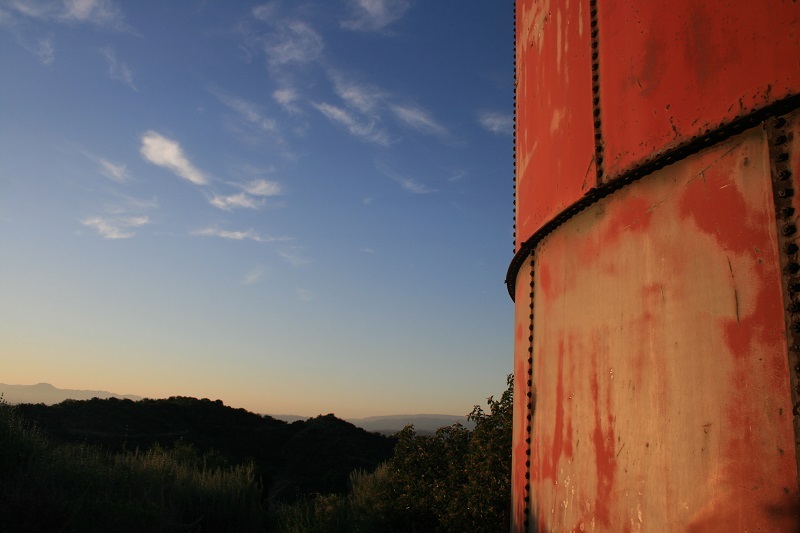 Still you can enjoy a nice view of the Santa Clarita Valley and the Sierra Pelona mountains beyond. The trail continues past a junction with a spur that drops back into the canyon. Stay straight and begin descending, passing by a large red water tank and making a switchback. 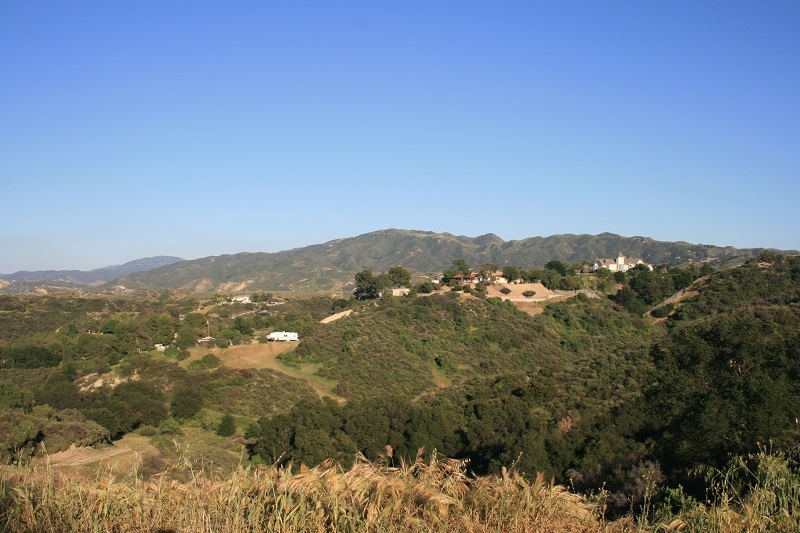 To the east, you can see the end of the San Gabriel Mountains towering beyond the buildings of the nearby Hart Museum and Ranch. At 2 miles, you reach the end of the Highland Loop Trail. Turn left and follow the trail into a grove of oaks. 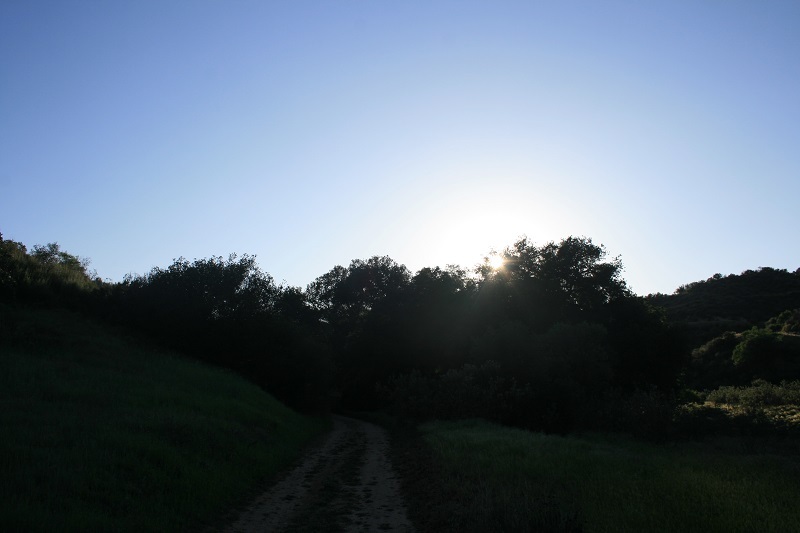 At dusk, this area is particularly attractive; but for the presence of some graffiti (and bugs during the evening) it would match up favorably against the best woodlands of the Santa Monica Mountains. Ignore a trail branching off to the left before exiting the woods and returning to the junction, completing the loop. Turn right and retrace your steps up to the other junction and back down the hill to Haskell View.